Love cupcakes but don’t love the calories? 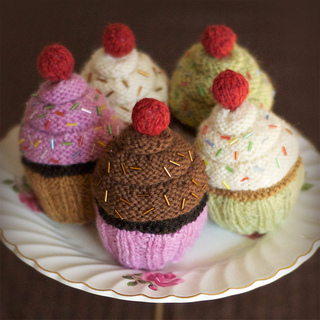 Knit up one of these quick and adorable cupcakes for yourself! Each one only takes a small amount of yarn so you’ll have a delicious-looking confection in no time, complete with seed-bead sprinkles and a cherry on top.